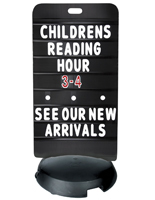 These weighted letter signs include (341) black changeable characters with red numbers and symbols. 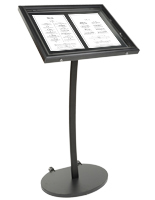 The floor standing displays are made from strong plastic for use in both indoor and outdoor environments. 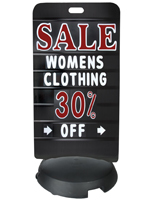 Each of the letter signs has a fillable base that can be weighted with either water or sand. The plastic stands also feature wheels for making transport and storage easy. 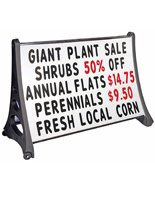 Changeable letter signs with a weighted base like these are great for showcasing advertisements for retail stores, bistros, bars and other curbside venues. 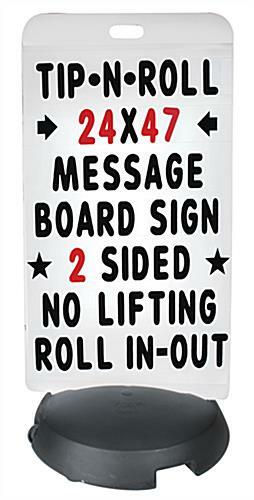 The floor standing displays have (7) lines for placing characters.